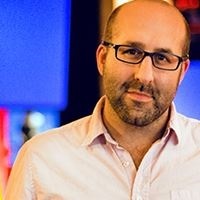 Jason Della Rocca is a game industry entrepreneur, funding advisor, and cluster expert. He specializes in business/partnership development, pitching/funding, and ecosystem/cluster development. As the co-founder of Executions Labs, he was a hands-on early stage investor to over 20 independent game studios from North America and Europe. Between 2000-09 he served as the executive director of the International Game Developers Association (IGDA), and was honored for his industry building efforts with the inaugural Ambassador Award at the Game Developers Conference. In 2009, Jason was named to Game Developer Magazine’s “Power50,” a list which profiles 50 of the most important contributors to the state of the game industry. As a sought after expert on the game industry, Jason has lectured at conferences and universities worldwide.